Tokyo has always felt like a faraway land that exists in the clouds, filled with brilliant lights, deep culture, and a history that spans far beyond what is easily imaginable. For us, we didn’t quite know what to expect upon our non-stop arrival in this heavily acclaimed city – though we can now tell you, it’s an understatement to say that it exceeded all of our expectations. Aside from the cozy climate that parallels so perfectly with Portland, everything surrounding us on our first morning in Tokyo was wildly unfamiliar – exhilarating to say the least. 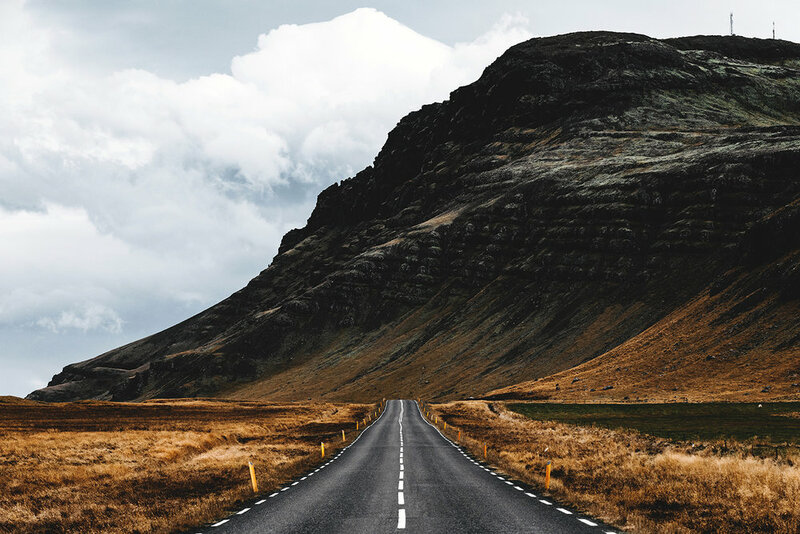 Much like any foreign destination, sometimes choosing a direction and heading into the unknown is the best first step you can take. One of our first adventures took us to Takeshita Street in the famed Harajuku district of Tokyo. Amongst the colorful variety of shops, clothing, candy, and street fare, we found one of our favorite dwellings during our trip – a real life cat café. If spending any amount of time sipping on coffee and snuggling with a fleet of purring, furry felines sounds like fun to you, we cannot recommend this place enough. Though Tokyo is enveloped by towering elements of modern cityscapes, its rich heritage can be found in pockets all around the city. We had the pleasure of strolling through a few of the local parks, many of which are home to century old shrines and temples. One of our personal favorites was Sensoji Temple located in Asakusa, a breathtaking temple over 1,300 years old located adjacent to one of Tokyo’s largest street markets – Nakamise Shopping Street. As any traveler does, we were constantly on the hunt for some of Tokyo’s most delicious food. What quickly became apparent, however, is that instead of having to seek it out, we realized Tokyo is simply brimming with world-class dining options at every corner. Whether it was ramen at the tucked away Soranoiro, a renowned vegan dish at T’s TanTan or Ain Soph. Journey, or Asian inspired gluten-free dishes from Littlebird - the ultimate culinary question you must ask yourself when visiting Tokyo is simply how much time do you have, and how hungry are you? Whether it be viewing the far reaches of Tokyo’s endless borders atop the Tokyo Skytree, witnessing some of the most baffling light shows at the Mori Building Digital Art Museum, partaking in the world’s busiest intersection at Shibuya Crossing, or strolling though the seasonal cherry blossoms in Yoyogi Park, Tokyo will delight, inspire, and leave you feeling forever grateful to have visited. Many of us often dream of packing our bags, boarding a flight, and heading somewhere across the globe. 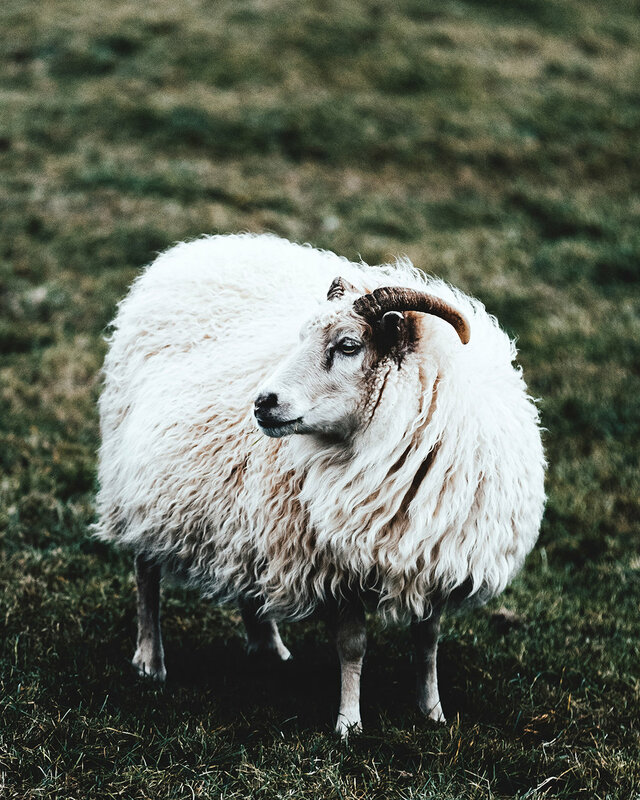 The desire to explore new cultures, see new sights, and experience life in a way that is new and unfamiliar seems to be engrained in us as humans, and so deeply rooted in our desires. 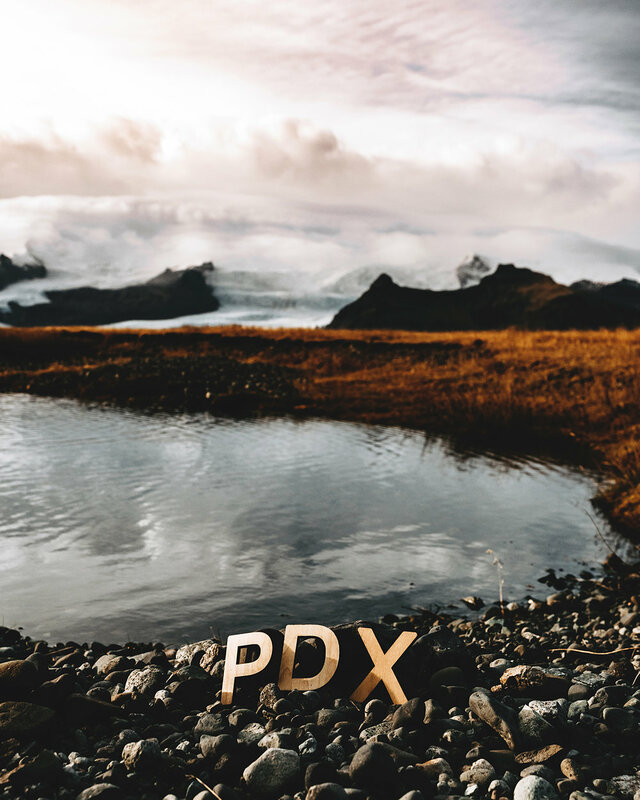 Recently both of us had the opportunity of a lifetime to travel across the pond to London with The Port of Portland (@pdxairport), and what ensued was an adventure we won’t soon forget. For us, London is one of those cities that made Portland feel like a small village nestled in the hills of the Northwest. Though some may think the hustle and bustle of an international hub like London would be overwhelming, it surprisingly wasn’t. Though big, London possesses a timeless and old school charm that takes you back hundreds of years, while nestling in some of the most modern elements of the 21 st century. It almost left us in disbelief how easy it was to wake up each morning and begin our daily exploration without much of an agenda. Stumbling across places one by one, giving us the impression that London is simply filled with things to see at every corner. One of our favorite days left us strolling through parks on our way to Kensington Palace, amazed at the wide open, lush feel that lends itself to London. Stumbling across the Sunken Garden (Princess Diana’s oasis of sorts) was truthfully life changing, as moments like these leave you forgetting the world around you, and simply feeling present and immersed as though you yourself are royalty. Walking through Camden Town, SoHo, Borough Market, and Shoreditch, gave us feelings of shopping in the 1800s (or at least what we imagine that to be like), while allowing us to taste and drink our way through some of the finest local offerings in the city. Whether it’s shopping, dining, history, getting lost in it all, or all of the above, London is a place that certainly will not disappoint. It’s so important to remember that these opportunities to travel exist, you can make them happen, and as far-fetched as it sometimes can seem, a few days and a passport is all you need to dip your toes in a new land. Don’t be afraid to get out there, the world is waiting for you, and you never know, it just might change your life. At the beginning of the month, I had the chance to head to Mexico City with my boyfriend on behalf of the Port of Portland and PDX Airport. It was such a wonderful experience! I’ve only ever spent a little time in coastal towns in Mexico, so getting to experience a bit of the city life there was so much fun. Some highlights of the trip include a juice bar / breakfast spot near our hotel (Izta 54, which was charming and peaceful if you’re looking for a great spot to stay in the city) with the most amazing almond cacao smoothie — called Ojo De Agua right in Condesa. 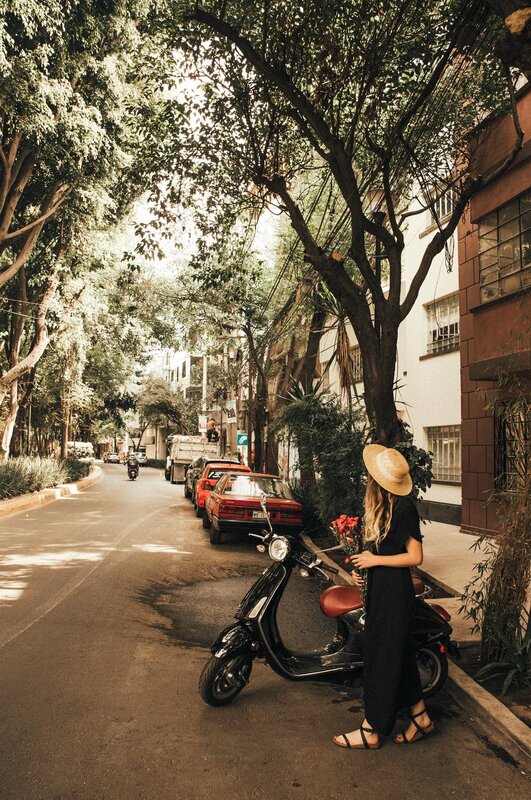 We didn’t stray too far from the Condesa neighborhood because we loved the vibe of the area so much! We also had some incredible mole and mezcal at Azul Condesa one evening. It was a candle-lit rooftop setting and the perfect temperature outside. We’d totally recommend that spot for an authentic meal. Our whole trip consisted of 65º days and nights a few degrees cooler, which couldn’t have been better. It was great for jeans and t-shirt with a light jacket, or a long dress and sandals! The beginning of February seems to be a great time to head to Mexico City if you’re like me and prefer milder temperatures as opposed to hot summer days. If you've never been before, add Mexico City to your list! It was super fun and there was so much to see and do that we didn’t even get around to - like Frida Kahlo's house and a few museums and town squares. Next time! My boyfriend & I like to make maps of all our favorite spots in cities that we travel to so we can share them with friends. Here is the one we put together from Mexico City! All of our favorite recommendations, plus places we found on our own and loved. Be sure to check out Aeromexico's nonstop flight from PDX to MEX! Head to our favorite spots and let us know what you think! Follow Sam on Instagram at @samlandreth. Hi there! My name is Charlotte (@charlottelittlewolf) and I'm excited to share my journey as a PDX Explorer with you. A few months back I received every adventure photographer's dream: an invitation from Portland International Airport (@pdxairport) to explore and photograph in another country—Iceland. I had been dreaming of traveling to Iceland for years and this was my golden ticket. You can now fly non-stop from Portland to Iceland; winning! Iceland is a dream for photography. The colors and textures of the landscape are exactly what I like to shoot. Waterfalls, black beaches, churches, volcanos and the Northern Lights all made for total sensory overload. It was a struggle to take it all in. If you plan to travel here, I’d say two weeks would be the ideal timeframe to see everything. My only wish was that we had more time to explore! Iceland really is a very special place. I had been “friends” on social media with Joe Shutter (@joe_shutter) and Gunnar Freyr (@icelandic_explorer)—local Icelandic photographers—for a few years. I’m so glad we got to become friends in real life while we were there. They were SO welcoming and kind, and the trip wouldn’t have been the same without them. Upon returning to Portland, I contracted a severe case of the post-Iceland blues. This place will be forever in my heart. Since we enjoyed our visit so much, my fiancé Josh (@joshstaygold) and I have decided to elope in Iceland next year with some of our dearest photographer friends and family. I cannot wait for our return! Here are some photos I took on the journey—I hope you enjoy them.